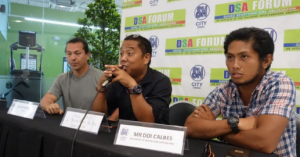 Davao City – Banking on their veteran experiences, team Herbalife aims to maintain its podium finishes when they see action on Sunday’s (March 24) second Alveo Ironman 70.3 Davao set at the Azuela Cove in Lanang. 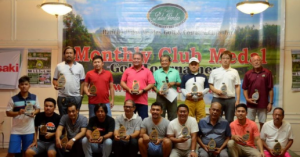 Herbalife Philippines General Manager Bong Valenzuela presented the six-man Herbalife brand ambassadors who will see action on the 1.9 kilometer swim, 90 kilometer bike and the 21kilomter run event. 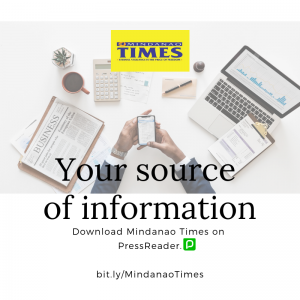 Team Herbalife currently holds the team and relay titles in last year’s inaugural offer here in Davao. “It’s an honor to be part of team Herbalife. We prepared for this event since December of last year. 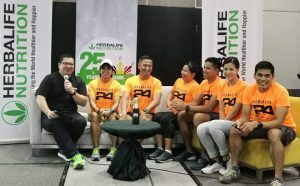 We will give our 100 percent performances on race day,” said team Herbalife captain Julian Valencia who also presented its members Dwan Abantao, Omar Paredes, Laarni Paredes, Ronald Mokit and Ines Santiago. 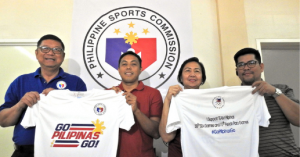 “We chose them as our brand ambassadors as they promote not only the sport but a healthy lifestyle. 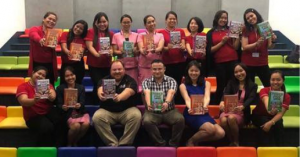 They are authentic brand ambassadors because they really use the product during their trainings,” Valenzuela added. Team Herbalife will be among the 2,200 participants from 38 countries who are competing in this year’s swim-bike-run event presented by Sunrise Events Incorporated.